Summit Van Lines guys were very pleasant to work with. Although there was a slight misunderstanding with the payment method, everything was sorted out quickly. The movers were on time and willing to accommodate all my requests and needs. I had my belongings stored for a while and I'm glad that they took such great care of them. The delivery was on time, nothing was damaged or lost. In spite of a couple of tiny mishaps on moving day, my overall experience was positive. I would most definitely hire them again if I have to move. They have all necessary equipment and skills to get the job done properly. Choosing Summit Van Lines for my move was the best decision I could have made.At first I was really nervous, I've heard such bad things about moving companies. Summit Van Lines reassured me everything would go smooth and They didn't disappoint me. They took care of my items like they were there own, what more could I ask for. I had a memorable experience with Summit van lines. I was looking for a competent interstate moving company to take care of my move to South Carolina. And the reason why I’m leaving this post only now is that I was absolutely impressed with their expertise and professionalism. At the time their services were reasonably priced, neither too cheap nor too expensive. I got the quality of service I paid for, and even more! The entire team was very skilled, I even got some quality services free of charge. 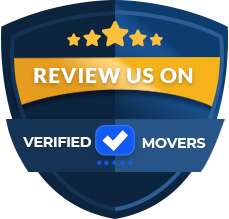 I have recommended them to my friend who was also satisfied with how they handled the move. Highly appreciated. I had an amazing experience with Summit van lines from start to finish. I received a convenient quote from a knowledgeable gentleman who paid me a visit two days after my first phone call. We had a smooth communication all along. They reached out before moving day to confirm a pick-up time. They arrived on time as promised and were very respectful of my schedule. I wasn’t able to pack some large picture frames and TV and they were happy to assist me with that matter. They worked so hard and deserved a huge tip! Thank you so much for a quality service and great commitment. Best moving company ever! My wife and I used Summit Van Lines for our recent relocation and I am overall satisfied with their company. I was skeptical after reading reviews online as it seemed people had mixed emotions about their experience. The guy we spoke to made sure to explain moving is very stressful and everything would be relayed to us upfront so we had no questions moving forward. We provided him with a list we had of all of our items that we needed to move. He then asked questions about the majority of the items to ensure he had a better idea of what sizes the items were. When the movers came, they again went around and made sure the inventory matched up. They explained we had about 10 items which were not on the original list and explained the additional charges. We agreed, signed the paperwork and they began to work. Their customer care team called us to provide updates throughout the trip and provided us with the driver's phone number towards the end. We received a phone call from our driver on Tuesday stating he would be a few days late as one of his jobs was unable to accept their delivery which would delay ours. We were pretty unhappy about this and called their office to express our concerns. I received a phone call from their manager who went into further detail about the move and why these delays happen. We did not receive any type of compensation for this delay as the manager pointed out this is all in their contact. The driver arrived as expected and we did not have anything show up broken. I would give them 3/5 stars as I feel their customer relations could use improvement and the delivery delay was inconvenient. put my information online and got many calls, Summit Van Lines happened to be the second caller. The gentleman I spoke to was very nice and was able to video chat me so I can provide an inventory. I let him know that I could not afford any sort of price increases other than the quote that was given. I’m happy to say that I didn’t receive any price increases. I believe they go out of their way to help customers, and it’s very hard to find these days. I chose Summit Van Lines to move my items in July of this year. I was picked up on time, but my delivery took a little bit longer than expected. This company's Customer Service did keep me updated on the delays the whole time. The fact that I was informed throughout my move, overall, made me more relaxed about my stressful move. I had a few damaged goods when receiving my items, and two missing boxes. Customer Service provided me with claims information and my needs were met. Summit van lines is a life saver! I had only one week to organize the entire move and I was freaking out. Should I mention also a limited moving budget? 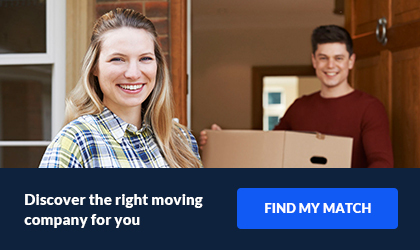 After calling several moving companies I realized that it would be difficult to get conveniently priced and quality moving services given the short time-frame. When I was about to give up, a colleague’s friend gave me Summit's contact saying that he had a smooth experience thanks to their resourcefulness and competence. They were my only hope and they didn’t let me down! My move turned out perfectly, movers took away a great deal of stress and tension and I’m really grateful for an efficient transition. Now I can resume my everyday activities and build my new life here in Memphis. Thank you, guys, you did an amazing job! Summit Van Lines choose carriers who are not reliable. Two large boxes has been missed upon delivery. The truck drivers won't even unload items from the truck during delivery before settling them the remaining balance and once settled the amount they started unloading to home and that's when we found that two large boxes are missing.They said like they don't know about it and asked me to check with the company. They are not even ready to give me a written statement that they missed to deliver and I forced them to give me that in writing. It has been already two weeks past the delivery and I am not sure on what they are going to do for the missing items and if they compensate how much they are going to compensate. They asked to submit a claim and said it might take 120 days for that process. Looking for a company that promised great service? Summit Van Lines has a big selection of stress-free moving services. They are one of the most dependable companies in the industry and they have testimonials to back it up. They have almost 30 years of experience between the owners of the company. It is common knowledge that moving is one of the most stressful tasks. They make it easy and seamless, so you can transition without anxiety. Their goal is to provide the best customer service so each person has nothing but satisfaction. This company believes in maintaining customer service every step of the way. From your first call to you last, they will be assisting you along the way. If you are in Florida and need to move locally, Summit Van Lines is here to help. They promise they everything will arrive at your new destination in the same condition as when it left. They also provide long distance moves out of South Florida. A lot of planning and effort goes into a big move. This company knows exactly what to do to make a seamless move for you. They do it all while cutting down your stress levels as well. They also provide commercial or office moves. 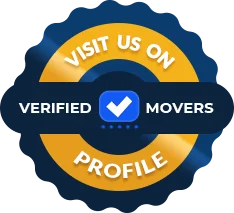 If your company is moving and needs a mover that will respect your timeline, you've found one! Do you have items your nervous about such as pianos and fine art? No problem! They have the skills and experience to move these items. They also provide auto transport and storage options. So, if you are not ready to receive your items, just let them know. They can get it all set up for you. Whether you are looking for local, long distance or commercial movers, Summit Van Lines covers all areas!